Samsung has recently launched a budget smartphone in J-series, i.e., Galaxy J2. It comes powered by an Exynos 3475, a quad-core processor clocked at 1.3GHz. If you have purchased this device then here few tips and tricks that can help you in exploring your device with ease. Insertion of SIM on the device is very simple. To insert SIM on your J2, switch -off your device, remove the back panel and remove the battery from your device. Now insert the SIM card in their respective slots and place the battery. Further, put the back cover and power on your device. You have successfully inserted Sim on your device, and it will be ready to use in some time. Samsung Galaxy J2 is a dual SIM Smartphone and supports Micro SIM card on this device. 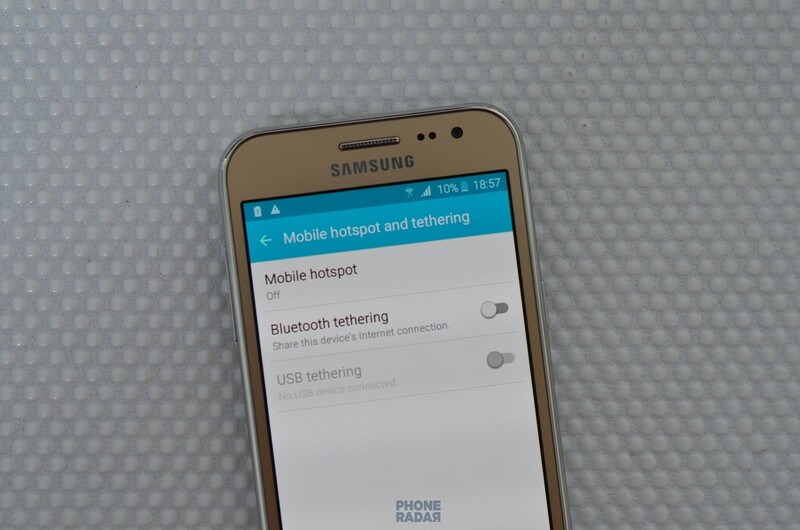 To share Data network on your device, Open the settings and tap on the mobile hotspot and tethering. In the new window, tap on the mobile hotspot and toggle the off button to enable that on your device. You can also set the password and device name by tapping more and click configure mobile hotspot. How to take a Screenshot on my Samsung Galaxy J2? To capture a screenshot on your device, you need to press the power button along with the home button. The screen shot is captured and saved to the gallery. You can quickly access the image by rolling down the notification panel. To check for Andriod updates on your device, open the Settings and tap on About device in the system section. Now, tap on software updates and click on update now. 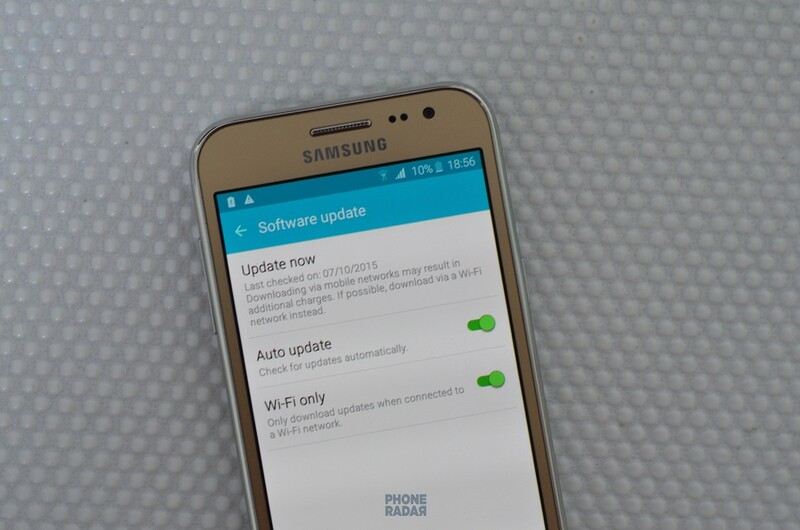 The device checks for updates and if there are no updates then a message stating The latest updates have already been installed is displayed on Screen. The device comes with a 66.4Mb update out of the box. What is the SAR Information value of the device? The Maximum Head SAR value for this model and conditions which it was recorded is 0.502 W/Kg. How to Install external apps with app files on the device? External apps can be installed by enabling the unknown sources option on your device. To enable this feature on your Samsung Galaxy J2, open the settings and tap on Lock screen and security in the personal section. In the new window, head over to Security section and tap on Unknown sources and click on OK to enable them on your device. Now you can install any number of applications with apk on your device. The quick setting in the notification panel of the device cannot be customized. 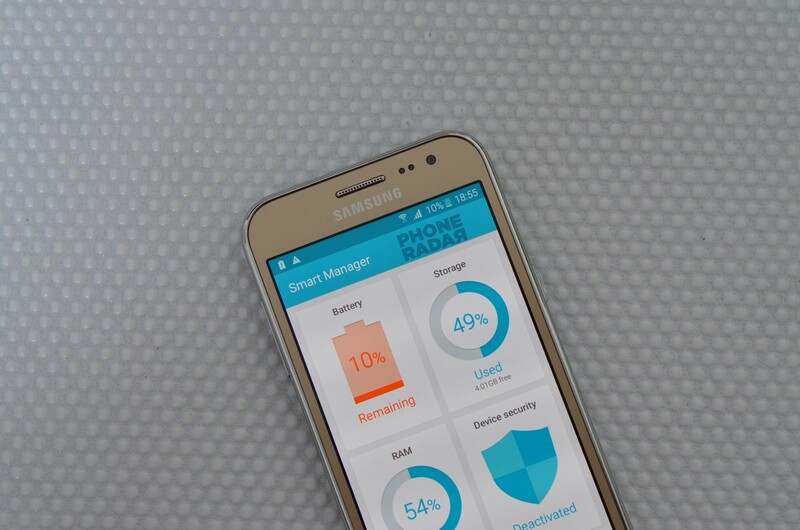 How to use the Power saving modes on the Samsung Galaxy J2? 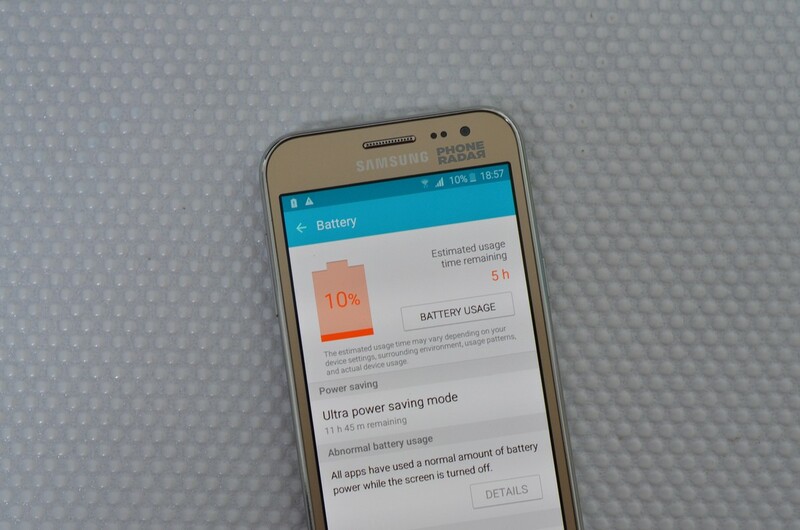 Power saving mode is helpful in improving the battery life on your device. To enable this on your J2, open the settings and tap on the battery in the system section. In the new window, tap on Ultra-saving mode and toggle the off button to enable that on your device. If you are installing for the first time you need to accept the terms and conditions and click on agree button. To get out from the ultra power saving mode, tap on more on the home screen and click on Disable ultra power saving mode. Acceleration and Proximity are the two sensors available on the device and helps in automating the device. No there are no LED notification lights available on the device. How to use the Screen pinning feature on the Samsung Galaxy J2? Screen pinning option is available on the devices with android lollipop available on it. To enable this on your device, Open the settings and tap on the lock screen and security and scroll down to bottom and tap on the security setting. In the new window, head over to advanced and tap on Pin window and toggle the off button to enable that on your device. Now open the recent button and tap on the pin button to pin the screen. If you want to get out from the pinned screen, you need to press and hold the back and recent joys together. The device comes with basic tools, camera, radio, Spanner, Galaxy apps, smart manager, few bloatware like mix radio, opera max, USB Backup and all the google related apps pre-installed. Yes, there is an option on the device where you can move the apps form the internal storage to micro SD card on your device. To use this feature on your device, open the Settings, tap applications in the device section. In the new window tap on application manage and tap on the app that you want to move. Further, tap on mOve to SD card. The app is successfully moved from internal to sd card on your device. What is Smart Manger and how to use it? Smart Manager is used to boosting the performance of the device by clearing the cache and killing the background applications. To use this application on your device, open the smart manager app from app drawer and tap on clean all. It check for the junk on your device and clears them. 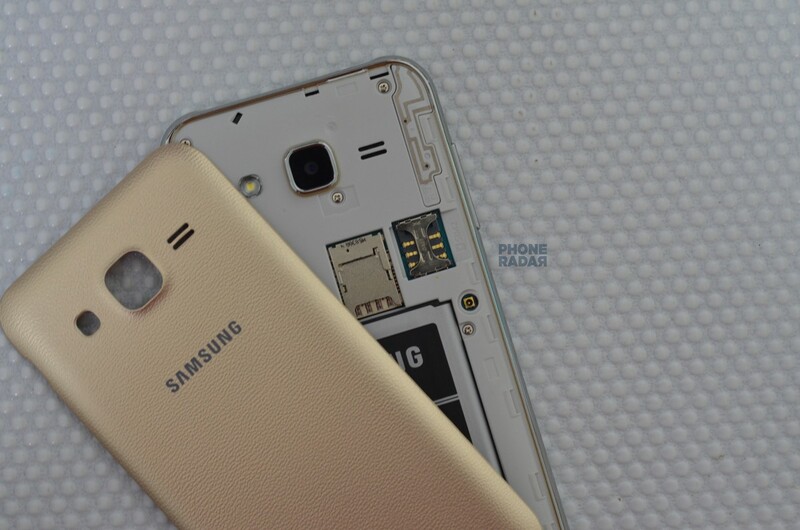 How much the internal storage on the Samsung Galaxy J2? The device comes with 8GB as its internal storage, out of which around 4.24 GB of free space is available on the device. The device comes with 1GB RAM where 422MB is used the System, and pre-installed apps use 110MB and 360MB free RAM is available when no apps are running on the device. We have tested the device with various benchmarking tools and here are their respective scores. These are the general questions a user search for when he purchases a new device. If you have any other queries, pass them in the comment box, we will get back to you.